In time for the federal election German politics witnessed the emergence of a new party, the Alternative für Deutschland (AfD). With its euro critical stance the AfD presents a radical alternative to the prevailing discourse surrounding the euro and euro crisis. Founded on the 14th of April this year support for the AfD has steadily grown with polls now suggesting they may break the 5% mark on Sunday. Yesterday afternoon the AfD’s candidate for Berlin-Mitte, Beatrix von Storch, sat down to lunch with a group of journalists and discussed the vision of her party. The first time I heard mention of the AfD, it was quickly dismissed as a one issue party strictly concerned with the euro. 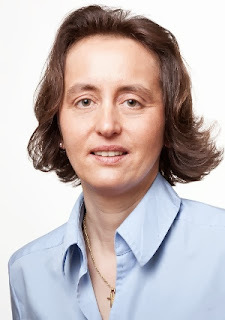 After a few minutes listening to von Storch the broader program of the AfD became clear. Certainly the euro is a central issue, but the party does not want to stop there. Two other areas of focus are European integration and fostering more opportunities for direct democracy in Germany. As a party of economists, these issues are understood through an economic lens, as is reflected by her pragmatic assessment of integration. European integration does not require the euro she said. Trade can remain the same, open markets, open boarders; all this does not require a common currency. While the party may be anti-euro, it is not anti European Union. Her greatest qualm is with how the crisis has been handled, claiming that a dangerous dynamic has been created in Europe as a result. Echoing Shakespeare’s Polonius she sees a Europe divided into a group of creditors and a group of debtors as highly problematic and potentially disastrous. The problem is not simply one of affordability, but also of democracy. Violating the sovereignty of states and making requirements of reforms to their financial systems cannot be understood as democratic, and rescue packages that spend German taxpayers’ money into the debts of others violates the rights of Germans. Ideally von Storch would like to see more opportunities for Germans to participate in choices regarding European integration. Politicians, she remarked, cannot make moves towards a central European state without consulting the people. The sovereignty lent to the government through the vote must be returned to the people in its original form. Any steps towards more Europe must first be okayed by the German people. When questioned about the AfD’s proposed solution to the euro crisis, von Storch did not miss a beat. Part of the problem is the membership of the Eurozone itself. A collection of such diverse economies cannot be served by a single currency and therefore what Europe needs is two – a currency for stronger economies and one for the ‘weaker’. In a tiered system those struggling economies could work with a devalued currency better suited to their needs. Of course transition to a weaker euro would not be mandatory and countries could decide for themselves. It appeared that von Storch believes countries like Spain, Greece, Cyprus, and possibly Portugal would certainly opt to be part of this weaker euro union. When asked if this would be problematic for European identity, von Storch flatly rejected the assertion. Currency has little or nothing to do with identity in her opinion. However, her hesitation in response to the question of where France fits in this two-tiered system reveals the complicated historical-political dimensions of economics, and perhaps her recognition of this. Certainly France has problems and cannot be saved like the smaller countries, she said, but France would not be forced to join a weaker ‘southern’ euro. No one could deny that the Alternative für Deutschland has injected some debate into the prevailing consensus about the euro, and while they have a vision it seems their rhetoric could use an injection of variety as well. Certainly economics are crucial to understanding how to solve our problems, but just as important are history, sociology, and the politics of identity. German voters now have the opportunity to choose their vision of Europe; the results on Sunday will tell if it is an Alternative more than 5% of voters want. An interview with Prof. Bernd Lucke, a proponent of major reform to the Eurozone. A response to Prof. Bernd Lucke, Dr. Holger Schmieding’s article considers the positives of the euro. Prof. Karl-Heinz Paqué discusses the euro and engages with dialogue between Prof. Bernd Lucke and Dr. Holger Schmieding. An interview with Prof. Dirk Meyer discusses the legal realities of Eurozone dissolution or the exit of states, the Plan B.